Stephanie has been a pleasure to work with and I very much appreciate her thoughtfulness and attention to detail large and small. And also her availability. Stephanie is a true professional. She was excellent to work with and exceeded our expectation! I would recommend her to our friends. She was detailed and diligent with her pricing recommendation. She made very thoughtful recommendation with respect to staging and pre-sale preparations which helped establish home value. Stephanie made what could be a difficult and stressful process, quick and easy! Stephanie's team is not only very organized and efficient, but very responsive as well! They took the time to answer all of my questions and clarify all steps along the way. She was attentive to all of my needs and I felt very well taken care of. I would absolutely recommend working with Stephanie! I can't recommend Stephanie highly enough! She helped us purchase a home in November and was a rock star throughout the process. From seeing the potential in the fixer upper we bought to negotiating the deal, Stephanie masterfully led us through the process. We had a couple of curveballs thrown our way during our process -- the kind that nobody could've foreseen -- but Stephanie relied on her knowledge and experience to help us navigate the hurdles. She's hardworking, determined and responsive. We would use her again in a heartbeat and confidently recommend her to anyone. We had an amazing experience with Stephanie as our realtor. We worked with her to purchase our new home, and sell our old one. Stephanie was a pleasure to work with. She's smart and professional, and extremely knowledgable. We felt confident that she always had our best interest at heart. We would highly recommend her to everyone! Working with Stephanie was a dream! She is professional, patient, and extremely dedicated to her clients. Stephanie was great at every point in our purchasing decision. As first time home buyers, she walked us through each step of the process and found us a home we love. She showed us the home before it was officially on the MLS so we could move quickly and get a contract signed without a bidding war. She was a pleasure to work with and when we are ready to move again, Stephanie will be our first and only call. Stephanie represented us on the sale of our North Hills home in late Feb 2016. I can't say enough how professional, assertive, and consistent her work was. She gave us very sound advice prior to listing as to what we needed to do to prep for the sale of our home. Once we were ready to list she was great at walking us through all of the steps in the process. She even went out of her way to find us a realtor in the area we moved to which was out of the So Cal area. Our home sold immediately with multiple offers and again Stephanie walked us through every aspect of the process. We chose Stephanie over our local area realtor and are so happy that we did. I highly recommend her for any area and any home. You will not be disappointed! Given how well Stephanie worked with me, I've referred her to others and they too have had success with her. She is a good person, a pleasure to work with and gets results. I am in the real estate business. Stephanie represented me on the buyer side and was an exceptional real estate professional in all facets of the transaction. She was skilled at finding the right product, negotiating, recommending a talented inspection team, coordinating with escrow and closing our transaction. Seamless, willing to make the additional effort and always looking after our best interest. Stephanie was wonderful to work with! She advocated for our best interests and is a very hard worker. She is responsible and proactive. I highly recommend her. Stephanie is a terrific agent. She's proactive, thinks on her feet, was responsive to our needs, and handled the highs and lows of the process with consummate professionalism. She was forthright in her opinions and kept us up to date with everything that was going on during the escrows. She's got a great personality and knows the Valley market. I've already recommend her to a friend! Stephanie knows the valley well and is always quick to respond and patient to walk people through the buying and selling process. She has helped us buy and sell our home and we would highly recommend her. Stephanie Payab just sold our home. She was fantastic. She was a constant knowledgeable professional through out the entire process. I give her my highest recommendation. Stephanie is helpful, thorough and extremely knowledgeable! She knows the ins and outs of the valley like no one else and actually brought us to the property we ended up buying based on that. She led us through the buying process like a pro and was always available to answer our newbie questions and address all of our concerns with the purchase and the process. She has superb referrals for everything outside the scope of her duties as an agent and was there to put the heat on everyone who needed it during our escrow. Stephanie is a superstar and our agent for life! Stephanie Payab is an awesome agent. She helped us find our rental during one hectic weekend and was so informative and helpful. She took us all over the valley and really steered us in the right direction. Her advice was spot on and I truly believe that with a different realtor we would never have made as good a decision as we did. I will definitely use her when we decide to buy and look forward to spending time with her as she is so great to be around! 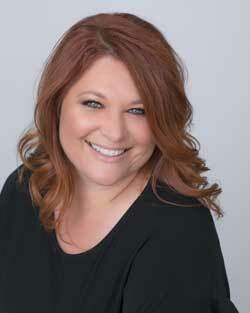 Stephanie Payab is a fantastic agent for anyone looking to buy a home at any price point in the Valley. Her local knowledge is superb, introducing us to a wonderful neighborhood that we didn't know about after living in the area for over 10 years. Besides her expertise in the field of real estate, her bright, affable personality makes the process pleasant from start to finish. She demonstrates patience and never pushes. She'll always let you know her opinion, but then leave you to make your own decisions. Even though we were far from being Stephanie's most lucrative clients, she always made time for us, day or night, as though we were. Working with Stephanie was a highlight of the home buying process.